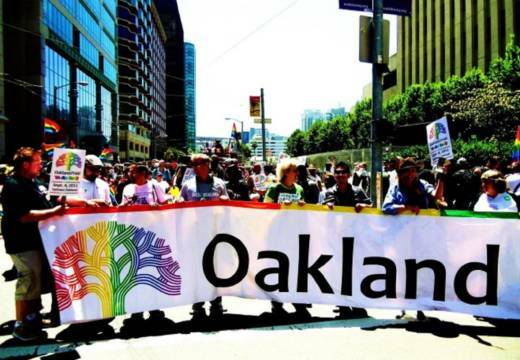 The ninth annual Oakland Pride will be taking over downtown Oakland on Sunday. Here's what you need to know before you go. Part parade and part festival, the event is dedicated to showcasing "the cultures and diversity of the Lesbian, Gay, Bisexual, Transgender, and Queer (LGBTQ) community in Oakland and the East Bay" through education and community building. The parade and festival both open on Sunday, Sept. 9 from 11 a.m. to 7 p.m. The parade goes up Broadway, starting at 14th Street and ending at 20th Street in downtown Oakland. The festival is right next to the parade finish area, with a main entrance at Broadway and 20th Street. The festival includes a "Family and Children's Garden," and there will be four stages with their own unique lineups. General admission to the festival is $10, and tickets for children under 12 are $5. The parade is free unless you want VIP seating. Phone, money for admission, sunscreen and transit cards. 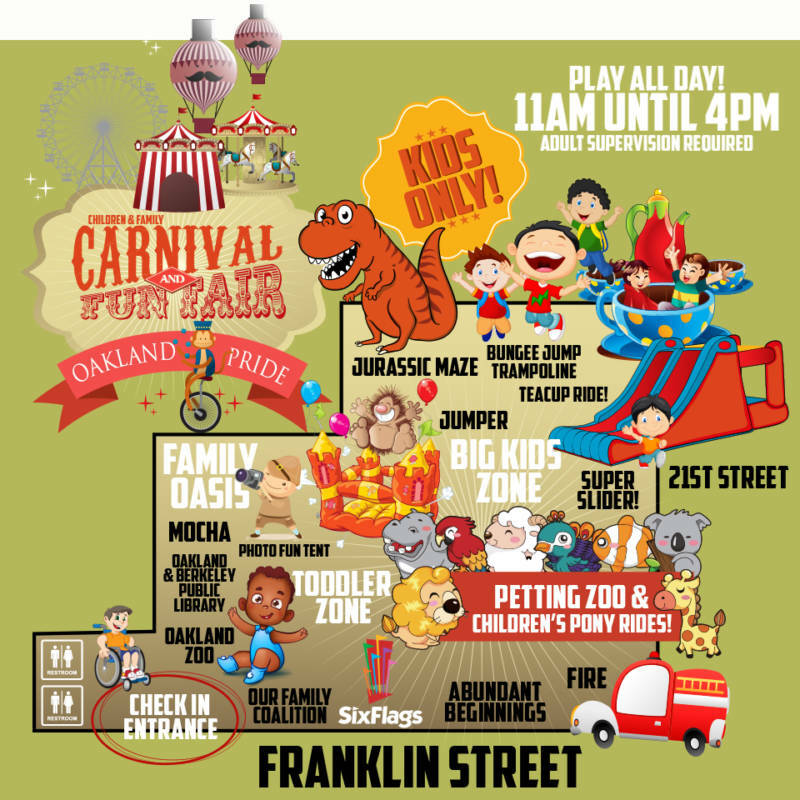 There are no age restrictions at Oakland Pride, which calls itself one of the "most diverse and family friendly" pride celebrations in the country. The Family and Children's Garden will be open from 11 a.m.-4 p.m., featuring programs and activities specially designed for children and their family. 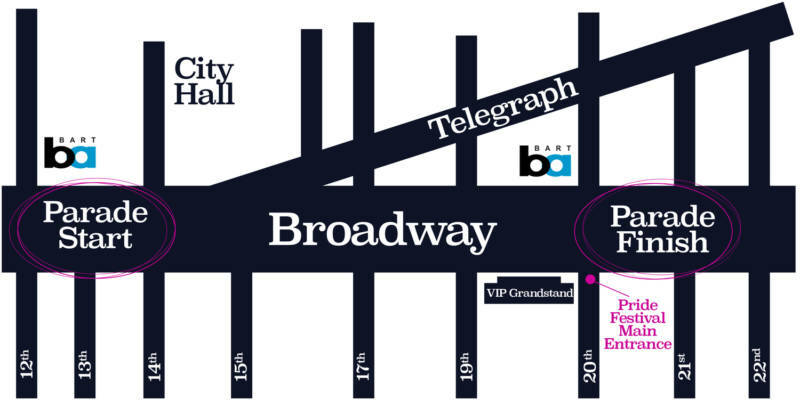 BART is your best bet to get Oakland Pride, with the 12th Street/Oakland City Center and 19th Street stations in Oakland being the closest stops. There will be very limited parking near the event. AC Transit will have detours in place for routes that go through the area. Some of these closures began Saturday morning. What hashtag should people use on social media?